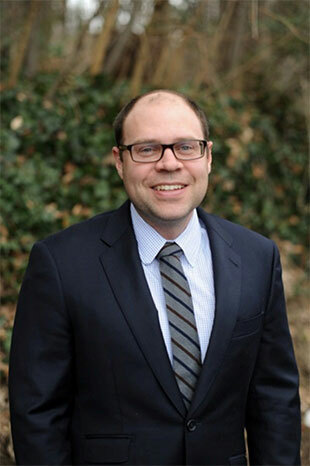 David R. Danieli is a lifelong resident of Virginia, having been raised in Woodbridge and currently residing in Fredericksburg. He comes to Rinehart, Butler, Hodge, Moss & Bryant P.L.C as an associate with almost nine years of experience. Prior to joining the firm, he worked for eight years in a general practice firm where he gathered insight into personal injury, medical malpractice, real estate, criminal law and landlord tenant cases. At Rinehart, Butler, Hodge, Moss & Bryant P.L.C, he will focus his practice on family law. David is a reliable and knowledgeable counselor, as well as a persistent litigator. He is well versed in issues dealing with divorce, juvenile delinquency, child custody, visitation and support. He is completely dedicated to the needs of his clients during difficult family and legal circumstances.